Professor Gilbert worked as a clinical ophthalmologist for 10 years, and has an MD in Surgical Retina. She completed the MSc in Epidemiology at LSHTM 1995, and worked in the Department of Preventive Ophthalmology, Institute of Ophthalmology, London from 1990 before joining the London School in 2002. Clare is Professor of International Eye Health in the International Centre for Eye Health (ICEH), and has been the Medical Advisor to Sight Savers International since 1995. 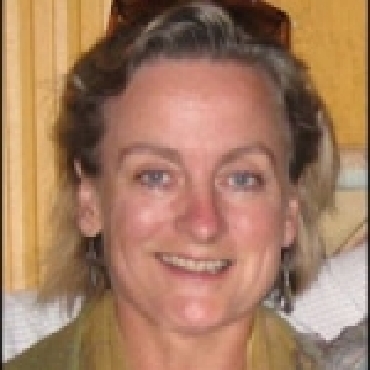 Since January 2006 Clare has been Co-Director of ICEH and is a member of the School&apos;s Ethics Committee. Professor Gilbert&apos;s own research focus is on the epidemiology of blindness in children, particularly in middle and low income countries. Recent projects include a national study of the prevalence and causes of blindness in children in Bangladesh using Key Informants as case finders, with an emphasis on childhood cataract; a cohort and nested case control study of retinopathy of prematurity in Rio de Janeiro, Brazil, to establish screening criteria and to explore risk factors; a study in Tanzanian school children to determine the most cost effective means of identifying children with significant refractive errors as well as exploring factors which influence spectacle wearing. Ongoing studies include a study to explore the effectiveness of low vision care for children in 3 countries in Asia and an inteverntion study to assess the impact of training neonatal nurses on the outcomes of neonatal care, including retinopathy of prematurity in Brazil. Clare was the principal applicant on a recent twin study of macular pigment with collaborators at St Thomas&apos; Hospital and the Institute of Ophthalmology. The findings of Professor Gilbert&apos;s research have been used to assist in planning and evaluating eye care programmes for children. She was involved in planning and evaluating a national programme for childhood cataract in Bangladesh, and evaluated a training programme in India for retinopathy of prematurity. Clare has also facilitated several workshop in Latin America, to develop programmes for screening and treating retinopathy of prematurity.